Good evening and Merry Christmas to you! My name is Paul Bresnahan and I come to you as an ordained Episcopal Priest, now celebrating 41 years of ordained service in the church. I have served congregations in the Diocese of Massachusetts, Ohio, South Carolina, West Virginia and Bethlehem, Pennsylvania. Cindy and I returned to our native Boston area. I have retired three times and now your vestry and I have agreed to a three month time of coverage. So now I am now working on my fourth retirement. I’ve been a rector, a priest in charge, an interim, but this is now the first time I’ve been a “bridge priest”. I suppose if you live long enough, you’ll see just about everything! We come to Christmas Eve, my favorite service of the year. This is Christmas, literally the Mass of the Nativity of the Christ Child. We celebrate the birth of a child born to an unwed mother, and in a family of modest means. He is born in a stable where the animals surround him, shepherds come to visit, Wise Men begin their journey and heaven and nature sings “Peace on Earth and Goodwill to all.” Here and now in the darkest time of the year the Light of the World dawns upon us in its most vulnerable form. And the event evokes in us such love and such devotion as to move our hearts in ways any birth of any child moves us. But this is the Holy Child, this is the Mother mild, this is the Holy Family. And so we sing “Silent Night, Holy Night” as radiant beams from heaven afar warm us all. Often when we sing these song, tears of joy and tears of sorrow so deep begin to fall for some because this Silent Night, this Holy Night touches the deepest part of our souls. It sure does me, and not just because I’m a sentimental Irishman. This is because of the fact that in the bleak mid winter of my eighth year to heaven, my dad died. There is no easy way to say that. It was on December 27th 1953. That’s 60 years ago this Christmas. I remember it like it was yesterday. It was difficult to understand for an eight year old. It was the signature moment of my early life. I do remember praying to the silence at night as I listened to the bells toll out the hours from St. John’s Church in Cambridge or as the trolleys along Mass Avenue squealed steel wheels upon steel rails...there were trolleys tin those days. And so it was that I prayed to the silence long into the night and often cried myself to sleep, recognizing increasingly day after day that I would never see my dad again. There were those who said that he couldn’t go to heaven because he didn’t go to church. And so it was that I began to wonder; “Not only will I not see my dad again in this life, neither will I see him in the next.” Some Christians could be awfully mean I thought then, some still are. On the other hand there was my grandmother; a woman of enormous faith, compassion and love. She sent me to church with a coin to put in the collection plate. It was the most beautiful place I had ever seen in my life. Much like this holy place, there were stained glass windows, beautifully hand carved wood, a choir with the sound of angels, and the magnificent literature of the Bible and the Book of Common Prayer. I fell in love with the church then and there. They did ask me to say “Our Father who art in heaven.” I looked high into the clerestory of that magnificent church and could not see my father or Our Father. But there was something about being there that made me mindful of God, of Jesus and what they called the Holy Ghost. That one spooked me a bit, but I was only a child. I stopped dead in my tracks, and gave voice to the sense that spoke deep within. I said it right out loud; “Don’t you know that there’s a special place in My heart for your dad?” My whole being shuddered, my heart raced with excitement and I ran home as fast as I could, burst into the front door, and bounded into the kitchen where my grandmother was busy at here cast iron skillet she called her spider, peppering up something good to eat. “Ma”, I said, “is there really a God? “Of course there is”; a pretty straight forward question and answer that was. Now somewhat irritated, after all she was in the press of providing for the family meal, hardly a time for the pursuit of theology but she did say; “Of course there is”. So I dared ask this question; “Ma, is my daddy there?” I knew that I was taking my chances with a question like this. After all, more than once she said that it was the Irish who ruined Boston. Especially in the aftermath of the divorce, my mom has her issues with my dad. So did my grandmother. She did hesitate, I must tell you, but what she did then became an unforgettable moment for me. She knelt down and held me close. She folded my head into the nape of her neck and she said; “Of course he is” Even now it is as though I can still smell the scent of her hair, the kind of “odor of God” the Christian mystics write about of their encounters with the Divine . Now when I went to bed at night the silence became a Presence. That Presence became Someone I could pour my heart out to. In time I learned that that the Presence had a Name. God, my creator, my dad’s creator, the creator of all that is visible and invisible. The Presence had a Name; Jesus, the savior of the whole world...of all who would turn to him and love him who first loved us. The Presence had a Name; The Holy Spirit, the Holy Wisdom from on High, the gift giver of all that is good and noble and true and pure. Now the Silent Night became the Holy Night. 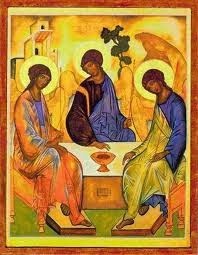 I gave myself body and soul to the Holy Trinity. For me this was no doctrine but my living Companion. And as I bound myself to the strong Name of the Holy Trinity day after day, Holy Night after Holy Night, I became a man who from my boyhood wanted to be a priest of the church. I wanted to stand at the Altar of God and in the pulpit and tell all who wanted to hear, and many who didn’t that there’s a special place in God’s heart for you, each and every one of you, of all those you love both in this life and in the life to come in the ever nearer Presence of God. So Merry Christmas! 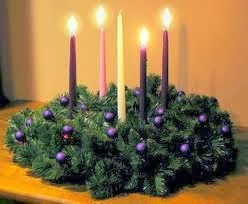 God be with you and may you be with God this Holy Night; this Silent Night. It is a joy to be with you tonight in this very, very sacred space. May God bless us everyone. So now after 41 years of priesthood, I’m still working on that. I have served here in the Diocese of Massachusetts at St. Luke’s in Malden and Christ Church, Quincy concurrently from 1972-1975. From there I went to Christ Church, Hyde Park during the integration crisis from 1975-1983. My next call was in the Diocese of Ohio and I served at the Church of the Epiphany, Euclid on the east side of Cleveland. Again I dealt with issues of race among a people of faith seeking a pathway to peace and reconciliation. It was then that I came to Methuen and because of its location on the Lawrence line the issues of race, language and class came to the fore. At Saint Mark’s Church in Saint Albans, West Virginia we dealt with poverty. We developed a soup kitchen, a food pantry and I became the lightning rod in the midst of controversy in our efforts to build a homeless shelter in the neighborhood. Race, class, poverty all converged upon us there, and we remained faithful to the Gospel. Then there was the matter of gender and orientation, now with two of my three boys gay; and a certain bishop in New Hampshire and again there was more controversy. After a cross burning and drug deals gone bad, we, the church, were there along with other churches to witness to the power of God in our midst. So after all that I retired and became the part time Priest in Charge of St Peter’s in Salem, for five years and after all that retired a second time. Not long afterward a church in the Diocese of Bethlehem, Pennsylvania asked me to serve there as interim, and after 15 months, I retired a third time. Now here we are, for the next few months walking together on the way to heaven. That heaven is within all along. God is with us all along. “Purify our conscience by thy daily visitation” as the collect of the day puts it; a daily visitation indeed! That’s exactly it; God with Us, Emmanuel. That is the Gospel Proclamation for this time of year. For it is precisely in the whoop and warp of controversy and conflict that we discover the nature of God. The birthplace of Jesus is in that part of the world where conflict, violence, human bigotry and warfare are constant and never ending. It is an indication of where God wants to be born and born again throughout all of human history. My wife loves those complete makeover shows on TV. Me, less so. But the point is that God is looking for a complete makeover in the human heart. And that is why Jesus was born to us. Jesus wanted to introduce us to the work of repentance, which does not mean sorrow for sin alone, but the complete makeover of the heart and soul of the human being. In Greek the word is “metanoia”. It is the same root as “metamorphosis”. You can see why the early Christians liked the image of the butterfly for the resurrection. For them as to us it is as if Jesus were inviting us to change from the grub of what is given in life, into the brilliant and beautiful butterfly God wants us to be for the glory and good of the world Jesus came to save. He invited us to learn the words repentance, forgiveness, reconciliation and ultimately love. For it is in those words that we learn to live large into the Kingdom of Heaven now in the time of this mortal life so that we can prepare ourselves to live that way in the life to come. In the meantime there was this Ahaz we read of in the first lesson today. He was not a particularly good king by any measure God would use. He reintroduced human sacrifice for instance into the religious ritual of the day. If the story of Abraham’s sacrifice of Isaac means anything to us in the long chronicle of sacred history, it means no more of that! But, Ahaz looked around at the Assyrian religious practice of his time, he sold out to them with an enormous financial gift, and then in cahoots with the Assyrians laid waste to Damascus and Israel in order to keep Judah safe, and then tore down the altar of God in order to build one of the Assyrian type. That’s when the prophet spoke to the king to tell him what must come after. His prophecy of the young woman and her child has its historic context for that moment in time, but for us, the image of that Woman and her Child has come to mean so much more to us in the cosmic and universal context. The music of Handel’s Messiah sets these words into our hearts with great joy and considerable excitement that they set the tone of this entire season for those of us who love such music. The prophet spoke to Ahaz at considerable personal risk. Jesus spoke to a dark world at considerable personal risk. You and I speak of God’s call to repentance, forgiveness, reconciling power, and love at considerable personal risk. Imagine this if you will, becoming a church like the one we are. 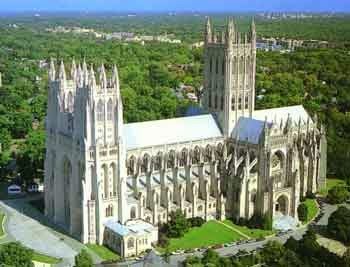 As a young man, I went to the National Cathedral with a youth group from Toronto. I lived in Canada with my folks from 1956 to 1967 and learned a great deal about both Canada and the United States by being there in those formative years. Over the great west doors of the National Cathedral are these words; “A house of Prayer for all people.” That made perfect sense to me then. It still makes perfect sense to me now. But it is not as easy as it sounds. We’ve been working out the particulars of that great biblical statement. Jesus uses the expression at the cleansing of the Temple, a story that occurs in all four Gospels and the Prophet Isaiah said it before him when speaking to foreigners and eunuchs. They were wondering; “Where do we fit into God’s great salvation plan?”. It was their vision. It is our vision; to be and become “A House of Prayer for All People”. Who knew that since the time I saw those words engraved over the great west doors of our National Cathedral that we had so much to contend with in the succeeding years. I went to seminary two years after Jonathan Daniels was killed defending a young black girl in Alabama. There was and is the struggle for civil rights. There was the business of gender equality. My mom worked at payroll in what was then The First National Bank of Boston. Men were paid at one rate, women at another and for doing the exact same job. It struck my mom as unfair then in the mid 1950’s. It strikes me unfair still that gender bias continues to exert itself into our current social circumstance. The church ended that bias with regard to ordination. There is more to be done. More recently there has been the issue of human sexuality and orientation. Two of my boys happen to be gay and so again the question arises; can we really be “A house of Prayer for all People”. When we say that God is with us, when the prophet says, that his name is “Emmanuel”; God with us, there is the ethical challenge to the human heart; can we really effect a complete makeover? 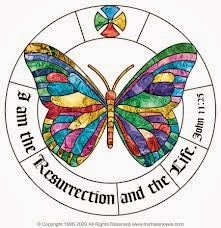 Can there be a metamorphosis a repentance that makes over the human heart in such a way that the whole world can be embraced not only by the arms of God but by the embrace of God’s people? 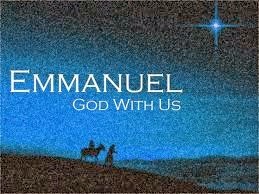 For me the great proclamation of Christmas is Emmanuel; God with us. God with us all. 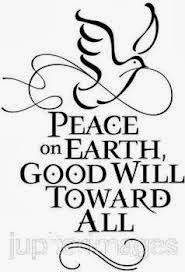 In other words, or more specifically in Jesus’ words “Love one another.” This is Christmas, this is the new born baby who seeks to be born in every human heart; the complete makeover that delights the heart of God as heavenly angels sing “Peace on earth, goodwill toward all”. Happy St. Nicholas Day to one and to all. Thirteen years ago on this date, on behalf of the Twin Cities Center, I closed on the purchase to acquire a former upholstery shop in Saint Albans, WV. 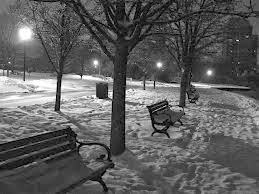 It is a long story, but suffice it to say two folks died under a bridge one snowy day in St. Albans, and I vowed to see to it that the homeless had another way to live other than among make shift shelters made of cardboard boxes under a bridge. Then came the police harassment. Then came the denial by the city fathers. That's when I kicked into gear and went public with a major media campaign on behalf of the homeless, many of whom happened to be war veterans. It was a grueling campaign. Every neighborhood, of course, fought the idea of locating a shelter in their back yard. A friend of mine who was the executive director of the local chapter Habitat for Humanity, said that NIMBY had become BANANA. "Not in my back yard" was now "Build absolutely nothing anywhere never for anybody". We laughed...sort of. Then I found what I thought was the perfect place; the aforesaid upholstery shop. It was directly on the main drag in Saint Albans, MacCorkle Ave, for those of you who know the area. The problem was that I needed some money for the down payment. That's quite a problem when you're trying to run a church on a shoestring. Then, as if by some kind of divine clockwork, an elderly and feeble voice called me out of the blue. She asked me if I were the minister who was working on the homeless issue. I allowed as to how that indeed was the case. She then asked me if she could send me $25,000 to help buy the building I needed to put together suitable space for the homeless. I said that would be nice. The woman sent me the check. It was written in a feeble hand aged with time. There was no address on the check. It was #102. My heart fainted, wondering if it were just a fond wish without the cash to back it up. I went to the bank post haste, deposited the check, and by God it was good. I then entered into a purchase/sale agreement. We closed the deal on St. Nicholas Day in 2000. That's thirteen years ago today. There was still much heartache to go, a court battle, some staffing issues, and lots of controversy. But my congregation, and my Bishop stood by me, and eventually the shelter was built, I handed the thing over to Roark-Sullivan Lifeway Center to own and operate what then became known as the Twin Cities Center. Many of us believe in the "sanctification of time". It is an idea that says all our days our holy; days like Christmas, Easter and other days for other religious traditions. 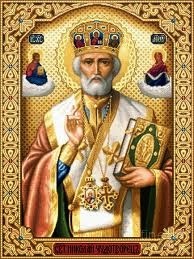 So allow me to take today to say what I said to a wonderful, generous, and sweet older lady; "Happy St. Nicholas Day".